As technology in the cannabis industry evolves, there are increasing debates about new innovations and devices. One of the most talked about discussions has been on the comparison of vaping vs. smoking. Certainly, the conversation is valid. On the one hand, vaping has a lot going for it in terms of health, discreteness, and the pure high. On the other hand, there’s a ritual when it comes to the traditional smoking session. Today we will explore the benefits and difference of vaping and smoking weed to see which is right for you. 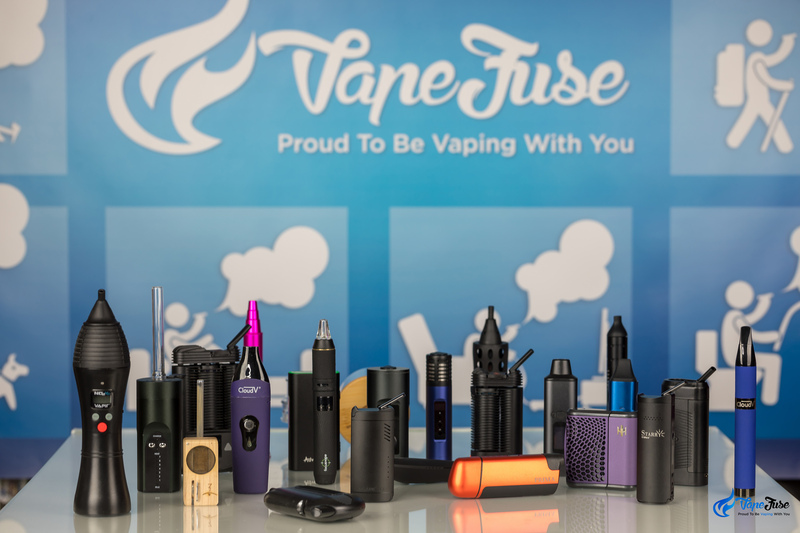 While you almost definitely know what we mean when we mention smoking, when we talk about vaping and high-end vaporizers lots of people are still relatively in the dark to the new concept! 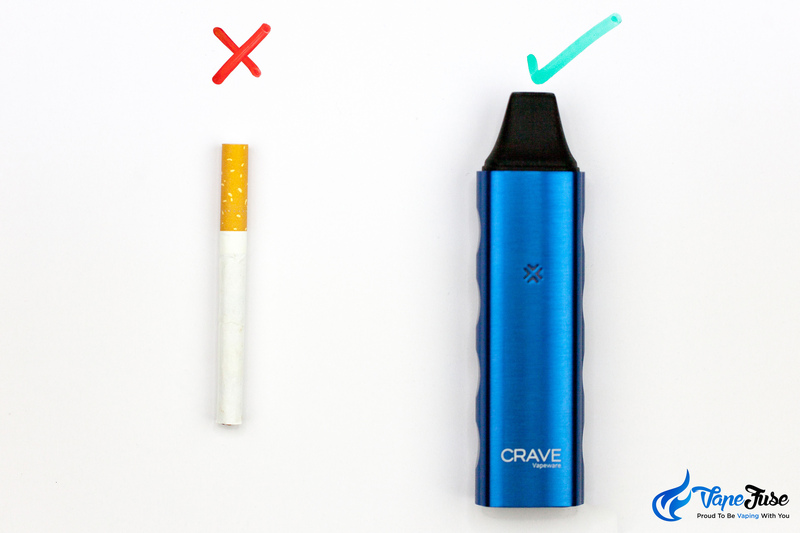 Simply put, when using a vaporizer, you won’t experience any smoke, carbon monoxide or fumes from lighters. When you inhale and exhale vapor, it feels and tastes much like a pleasant mist/fog. The THC is extracted through heat that helps to atomize the important chemicals in the bud or oil, and leaves behind little to no residue. Vapes these days come in all shapes and sizes. You can find units that are large and stationary that fill entire plastic bag like containers with THC vapor, or vapes that are the size of a pen. 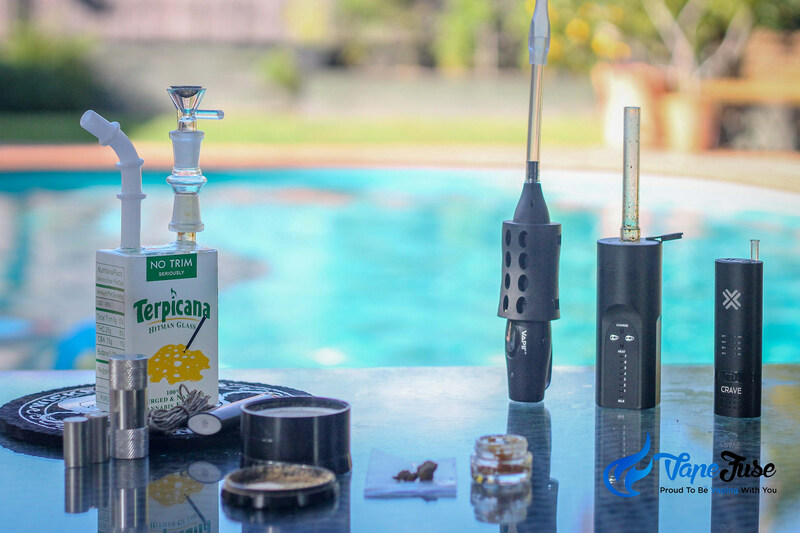 Many dry herb vaporizers run on metal or ceramic heating elements which use perfect temperature control to heat the herbs to precise temperatures for proper vaporization of THC and CBD chemicals. 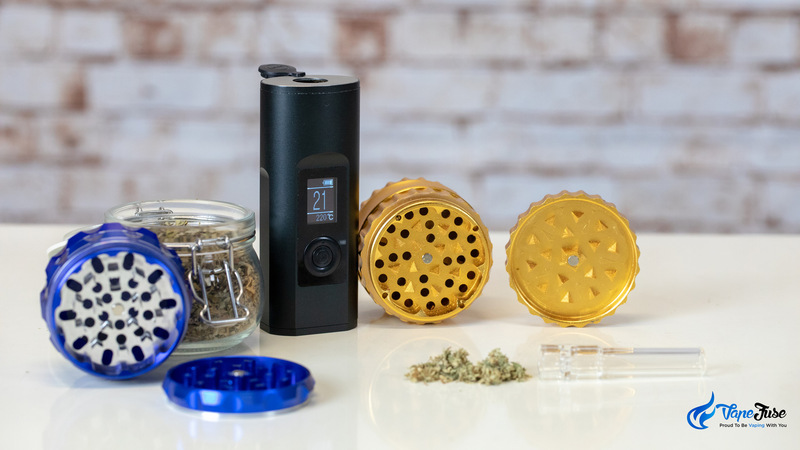 Unlike traditional smoking methods like a water pipe or a joint, these herbal vaporizers won’t stink up the place and are a lot more economical as well! 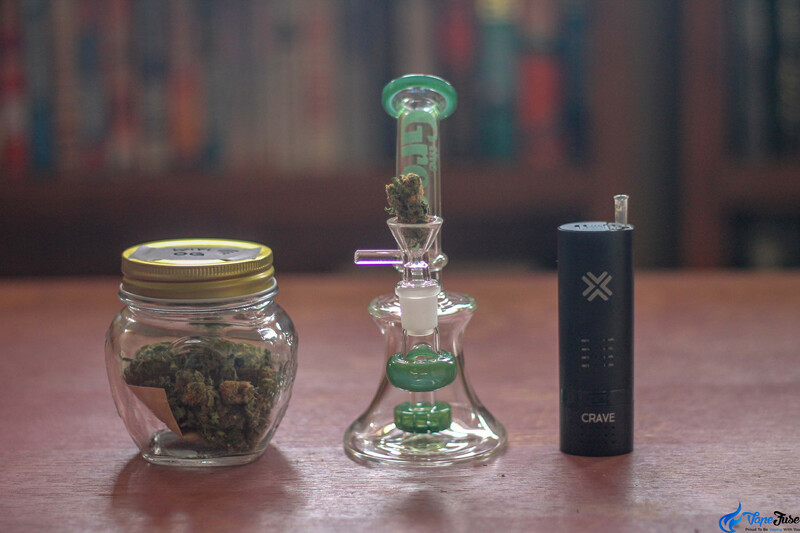 Devices like the Arizer Solo II Portable Vaporizer pictured above can convert a mere 0.2g of dried ground herb into a 15-minute session of thick, flavorsome vapor. Most run off of a rechargeable battery that heats a cartomizer or atomizer. 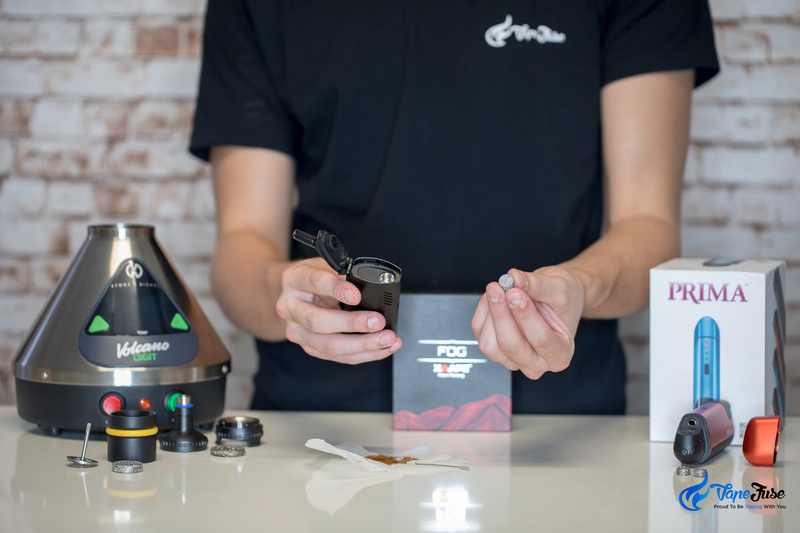 So in other words, as the concentrate heats up in its chamber, the concentrated THC and CBDs are released in a tasty vapor for direct inhalation. Now, there are numerous hybrid vapes that allow you to atomize a combination of dry herbs, waxes, and oils through interchangeable attachments. Each attachment has its own unique chamber or heating coil to vaporize the cannabis product of your choice, the most common of these is the liquid pad. 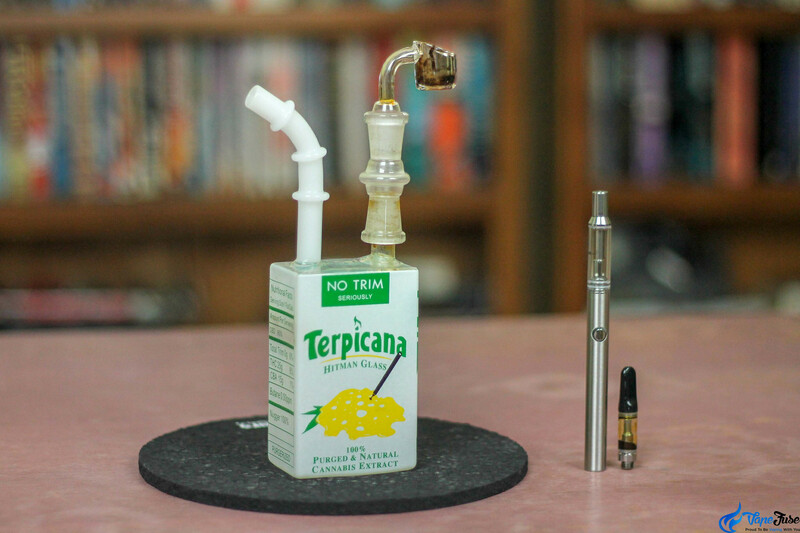 Vapes do not usually have much in common with traditional marijuana pipes, though there are some units available that are made to resemble cigarettes. The vapor that is produced by the vape is much less harsh than smoke. There are a lot of benefits to vaping over smoking. The main reason that most people make the switch to vaporizers are for their health. Smoking marijuana is generally regarded as being considerably better for you than smoking cigarettes. However, the fact does remain that you are ingesting a lot of tar and chemicals into your system during a traditional smoking session. The vape helps to mitigate this issue. Since nothing is burned, many of the main carcinogens associated with smoking are left out. However, health is not the only benefit. 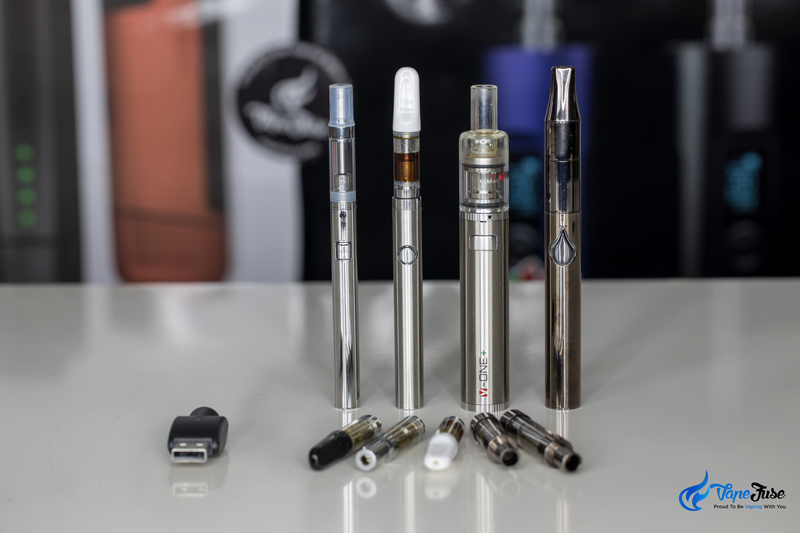 While the debate over the vaping vs. smoking high is still raging, many people believe that vaping produces a much cleaner, purer more functional sensation. And, because vapes do not produce any smoke they are also usually pretty low-profile. If you are in a social setting in which you don’t want to smell of marijuana smoke, you will be better served by your vape than you will be by your pipe. There are disadvantages to vaping, but they are not very serious. Regardless if your using herbs or oil, the biggest issue is around the maintenance and quality of the electrical components compared to traditional methods of smoking. 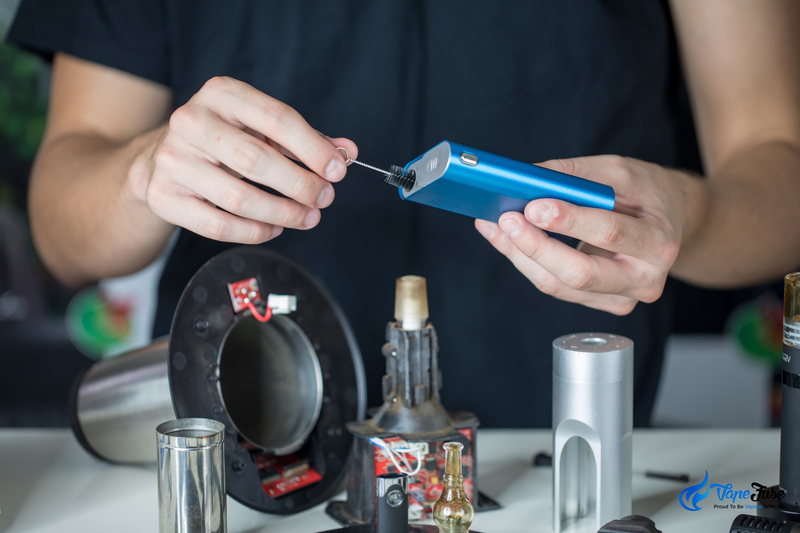 Most users do not have any problem with cleaning their vape regularly or making sure the battery is fully charged, but if you are used to smoking being a more expedient affair, it can take some getting used to. If you’re experiencing difficulty keeping your vape clean, check out our Expert Tips for Maintaining your Personal Vape post. If health and practicality are your only concerns, then there are no real reasons to smoke compared to vaping. However, as we all know, when it comes to marijuana, sometimes health and practicality take a back seat. There is an undeniable nostalgia factor to smoking any type of cannabis the traditional way that should not be ignored. Many smokers are unwilling to about forgo their favorite smoking methods. Whether they have a pipe that they really love, or they just enjoy the feeling of hitting the joint between their fingers, they are okay with a balance of smoking and using a modern vape. If that is your situation it is ok. While investing in a vape is going to be a good idea both for your health, and for your own personal enjoyment of getting high, there is no shame in busting out the old nostalgic pipe every now and then. However, about literal advantages, all signs point to vaping as the winner. It’s pretty clear that vaping does have a lot of obvious benefits over traditional smoking. At the end of the day, these benefits do speak for themselves. 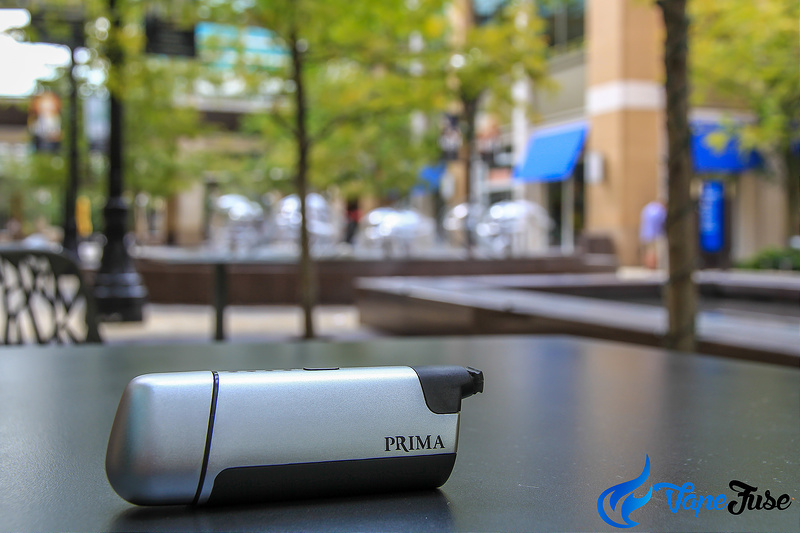 If you want to smoke without damaging your lungs, and reeking for the rest of the day, vaping is the way to go. 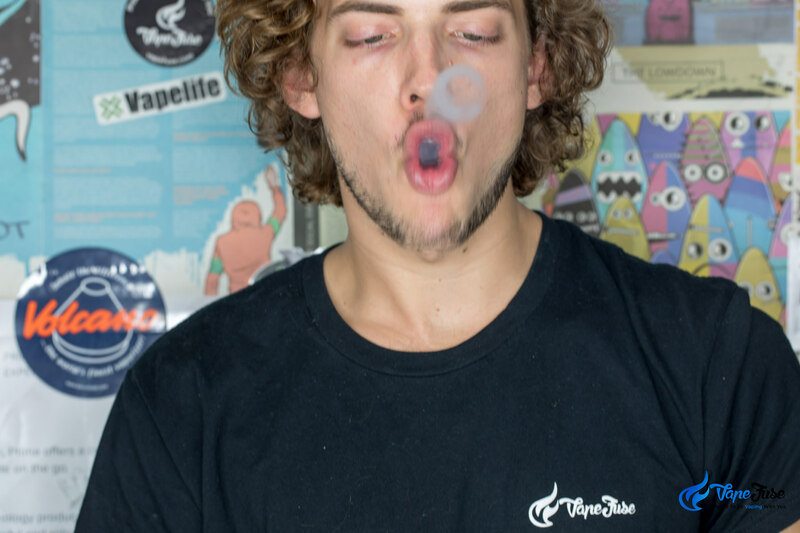 John Stuart from Outreach Cannabis Tours is a self-confessed cannabis connoisseur with a passion for vaping and blogging. Read his work here!